My Heart's Dee~Light: FREE Recipe to say Merry Christmas! FREE Recipe to say Merry Christmas! A favorite recipe of mine is Kasekuchen (German Cheesecake.) In Germany, it is often served at breakfast with strawberries and coffee. 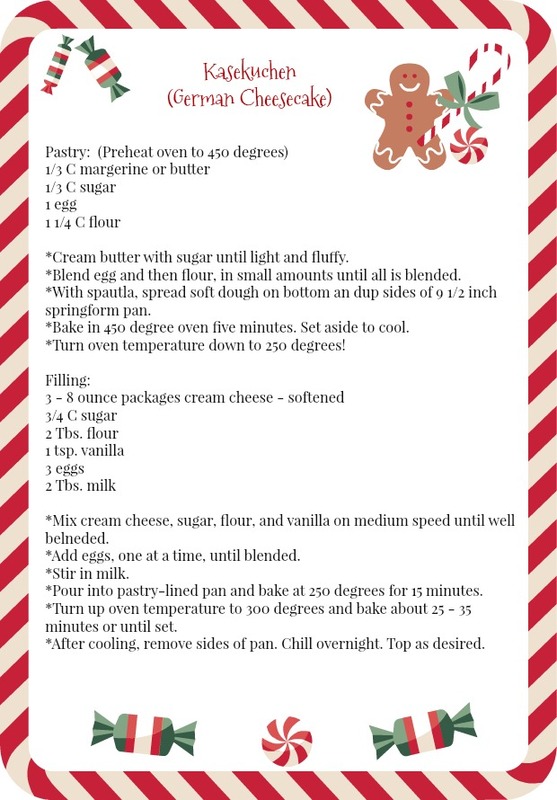 Enjoy the recipe, and Merry Christmas!